Dec. 21, 2018-- Toms River Education Association (TREA) recently awarded Intermediate East a Pride Grant in the amount of $3,115.69. 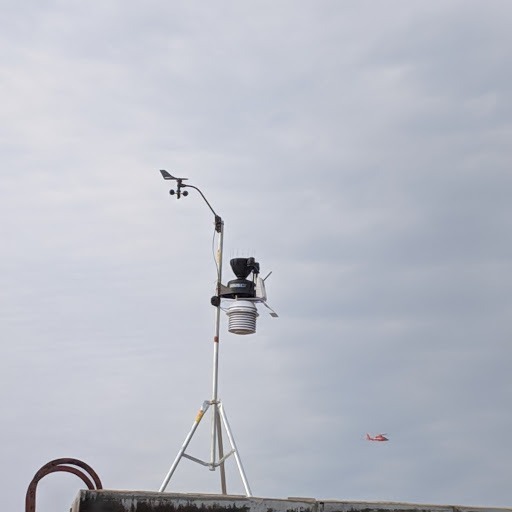 With that funding the school was able to purchase a Vantage Pro2 professional weather station, which has been installed on the roof of the school. The weather station is operational and is being used to support IE's science curriculum, as well as cross-curricular activities throughout the building and Outdoor Learning Center. Parents of Toms River Regional Schools students and community members are able to access current weather data from the station, which is also registered with national weather organizations. The weather station's data is accessible throughout the United States and other countries as well. This grant will also provide funds for future student presentations for parents and community members. The school acknowledged Ms. Nancy Jubert, whose efforts in the preparation and submission of the application helped secure the grant. TREA has awarded Intermediate East grants totaling more than $12,000 dollars the past two years. The Vantage Pro2 professional weather station now rests atop Intermediate East.